Billy Casper Golf is proud to announce it has been selected to manage Walkabout Golf Club, the Australian-inspired masterpiece in Mims, Fla., 45 minutes northeast of Orlando. Managing all facets of the public-access Walkabout Golf Club operation, BCG will direct course and property maintenance, staffing and training, clubhouse activities, merchandising, golf instruction, marketing and public relations, special events and financial management. 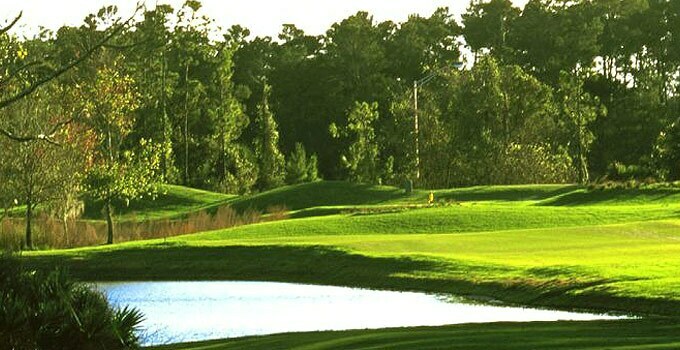 Designed by Perry Dye – son of renowned architect Pete Dye – and LPGA champion Jan Stephenson, Walkabout Golf Club opened in 2003 and features lush playing surfaces, native vegetation and gentle mounding. The 7,146-yard, par-72 layout is no push over with water in play on 13 holes and bunkers guarding undulating greens. Walkabout’s No. 1 handicap hole is the 455-yard, par-4 fourth hole with hazards off the tee, woodlands right and a lake that envelops much of the green. However, with five sets of tees and generous fairways, players of every skill level enjoy Walkabout. Three-time PGA Tour winner and Florida resident Chris DiMarco holds the course record of 8-under-par 64. With a grass driving range, putting and chipping greens, and professional instruction for all ages and abilities, Walkabout Golf Club is a perfect spot for golfers looking to sharpen their games. The new, 16,000 square-foot clubhouse includes a fully-stocked pro shop with the latest in equipment and apparel from top brands. "The Hideaway at Walkabout” is a new Key West-style restaurant serving breakfast, lunch and dinner seven days a week.